Mobile point of sale has skyrocketed with the expanding adoption of both smartphone and tablet based communication technologies by the public. It is more important than ever for the marketplace to streamline business operations with customer service in order to better serve the increasing population of tech savvy customers. Star Micronics, it offers a complete line of portable receipt printing technologies devoted to giving you the mobility to engage your customers and provide a unique service experience for each individual customer. 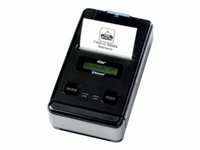 Always Leading- Always Innovating, Star Micronics is proud to introduce its complete line of portable receipt printers for mobile point of sale which boasts both the iSeries of MFi certified portable Bluetooth receipt printers and Star’s SM-T300 Wireless LAN portable receipt printer. No longer confined to a work station or by infrastructure limitations within a store, Star’s iSeries of MFi certified portable Bluetooth printers and its SM-T300 Wireless LAN portable printer allows the operator to step out from behind the counter and engage the customers on the floor. Included in the iSeries of MFi certified portable Bluetooth receipt printers are the sleek SM-S220i (2 inch receipt format; ideal for payment processing receipts), the rugged SM-T300i (3 inch receipt format; ideal for standard 3 inch retail and hospitality receipts) and the rugged SM-T400i (4 inch receipt format; ideal for data rich service reports or law enforcement citations). 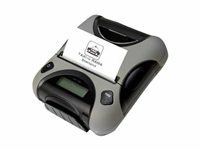 Light weight and equipped with a belt clip, Star’s iSeries portable Bluetooth receipt barcode printers can be comfortably worn on the service agent’s belt leaving their hands free to operate a smart phone or tablet communication device. All iSeries portable Bluetooth receipt printers are MFi certified by Apple to work with iPad, iPhone and iPod touch. In addition, they are compatible with popular mobile platforms such as iOS, Android and Windows. Another mobile receipt printer solution is Star’s SM-T300 Wireless LAN portable receipt printer. Rugged like the SM-T300i, Star’s SM-T300 offers wireless receipt printing in a WiFi environment through its Wireless LAN interface. With easy drop in & print paper loading and print speed of 80mm per second, the SM-T300 also features an LCD display which actively displays the printer’s status. The SM-T300 is ideal for hospitality and retail environments where three inch receipts are an industry standard. Also available as an option are the SM-T301 (Wireless LAN with MSR), SM-T301i (MFi certified Bluetooth with MSR) and SM-T404i (MFi certified Bluetooth with MSR) models which offers integrated magnetic stripe readers. 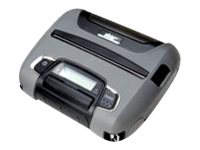 The magnetic stripe reader adds even more functionality to the base models. Increase work efficiency and accuracy by processing customer information with a swipe of the card. All magnetic stripe readers come with 3DES 128bits encryption.